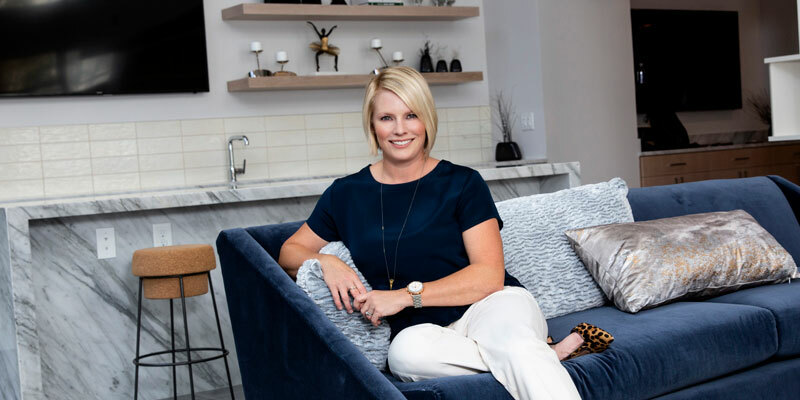 A good experience buying her first home had Chrissie Kallio convinced she wanted to provide the same level of service to buyers and sellers, by making what could be a daunting and scary process straightforward and empowering. Thus, 13 years ago, she left behind a career in event planning for real estate. Over the years Kallio has grown her business to include a buyer’s agent and operations manager. “My amazing team includes a dynamic buyer’s agent who consistently exceeds expectations and makes lifelong friends and clients in the process,” says Kallio, associate broker and Realtor of Chrissie Kallio Real Estate, Compass. “My operations manager guides every client through their transaction with the highest level of customer service and respect.” The team allows her to be more available to clients and her family, adding balance to her life. Kallio works with residential buyers and sellers, and also guides investors in the Intown market to selecting the right property and finishes that complement the community and help maximize profit. Her biggest accomplishment in the past year has been bringing together an investor client with a community group to manage the bulk sale of a number of lots in Edgewood, the location of her first home and a community she enjoys working in to make positive change. In addition to exceeding her goal of helping more people this year, Kallio made time to run her first marathon at Big Sur. She and her husband enjoy casual weekends with their two boys, and are avid supporters of Atlanta United Soccer.